If you think I'm lying, drop the bomb. If you think I'm crazy, drop the bomb. But don't drop the bomb just because you're following orders! 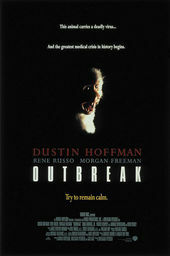 As we linger ever on the precipice of a pandemic, let us consider Director Wolfgang Petersen’s employment of the long take in the title sequence of Outbreak. 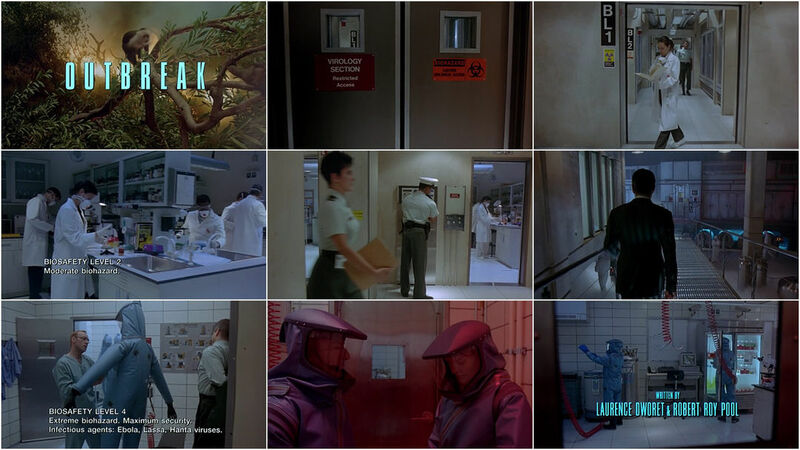 In a single, long take we tour the military’s Medical Research Institute of Infectious Diseases, specifically the various “biosafety levels” of the Virology Section, from Salmonella to Hanta to the reassuringly-described “unknown”. A graceful steady movement takes us through a myriad of doors and safety checks, a simple slide through space, grounding us in an increasing feeling of discomfort. The camera work in David Fincher's 2002 thriller Panic Room often works in much the same way: the camera breaks the boundaries of space, passing confidently into areas of increasing security, the viewer made complicit in the act. In Outbreak's meticulous opening shot, the ballet of cues is artfully rendered by dozens of actors and extras and the effect is hypnotic, instilling a deeply felt sense of unease. For more examples of long and single take Steadicam title sequences, see our feature Single Take Titles, Part 3: Steadicam's Long Take.